Horror is a popular genre. Fantasies involving zombies, mummies or vampires are as widely read today as they ever were in the past. But history is filled with real horrors. Which raises the question: is it ever possible for a novel to do justice to real life horrors such as The Great Irish Famine? Part of my research for my novel set in the period of the Irish famine of 1845-51 has consisted of reading a massive volume entitled Atlas Of The Great Irish Famine. Produced in 2012 by Cork University Press, it is a monumental work, consisting of a series of essays by academics, that seeks to analyse the events of that period from the perspective of a geographer. That is not to say that geography is the sole perspective of the book, but it is, as the title suggests, the dominant one. By studying census returns from before and after the famine, alongside a range of other documents, the authors seek to establish the extent to which each part of the island was effected. The proportion of population lost to death and migration in each of the four provinces and, within those provinces, in example parishes, is exposed to detailed examination. At the same time it attempts to place the events in a political, religious and social context with, for example, detailed descriptions of the Poor Law Unions and workhouses. It quotes extensively from contemporary eye-witness accounts. Its examination of the mass migrations that took place during the period does not stop at conditions in the vessels that carried the human cargo. It provides detailed accounts of the immediate destinations and subsequent dispersal within mainland Britain, North America, Australia and New Zealand. The writer of fiction about this period, according to Morash, is trapped between two irreconcilable difficulties: if he or she concentrates on the suffering of one individual, or a small group of related individuals, there is a danger that the scale of what took place is overlooked. On the other hand, any attempt to illuminate the scale of suffering runs the risk of failing to give due weight to individual circumstances. 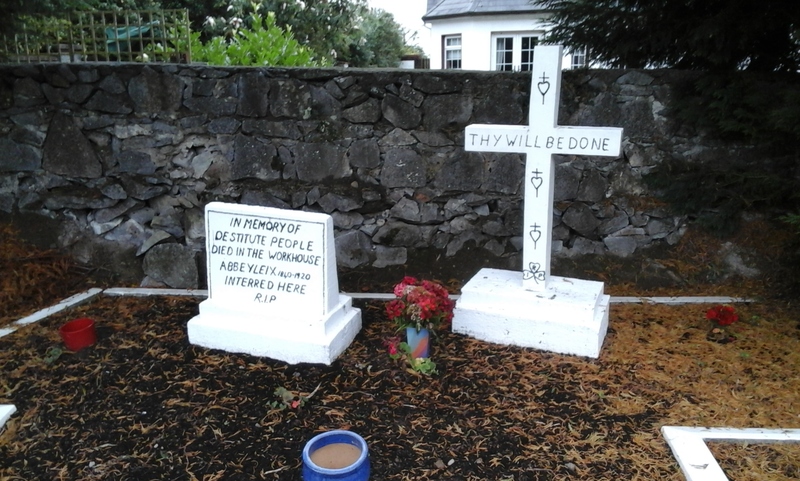 And the scale of the 1845-51 famine is such that there could not have been any one of the 8 million citizens living on the Island in 1845 who was not touched directly by what occurred. Moreover, there were many more in mainland Britain and further afield who knew what was happening, from accounts published in newspapers and magazines of the time, and, in the case of politicians and bureaucrats in a position to influence the turn of events, from reports sent in by officials on the ground. During the course of the past year or so I have read several novels that contain accounts of either World War I or II. Among them was Judy Picoult’s The Story Teller which contains harrowing descriptions of the treatment of Polish Jews by the Nazis. The narrative concentrates on the life of one young woman and her family, but the scale of the events is made clear by her encounters with others and her progress from relative normality in prewar Gdansk, through small humiliations, to forced removal to the ghetto where the family struggles to survive before being separated and transported to a series of concentration camps. Such events, which were the day-to-day experience of millions in 1940s Europe, certainly fall into the category of ‘inconceivable reality’ identified by Marcus. 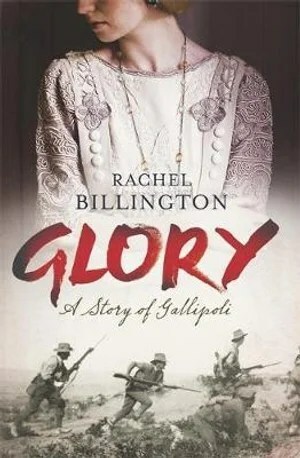 My present reading, aside from famine research, is Glory, Rachel Billington’s 2015 novel set partly in Gallipoli in 1915. It includes episodes in the English country house home of a senior officer drafted out of retirement to participate in the ill-fated British and Commonwealth invasion of Turkey. Military hospitals in Egypt and Malta also feature. The horrific scenes of death and injury on the battlefield are offset by the comparative normality of village life in early twentieth century England. But, inevitably, normality at home is disrupted, too, with the family seat converted into a convalescent home for injured soldiers. Once again we are in the realms of ‘inconceivable reality’, both in terms of the horrors experienced by the men at the front, the nurses in the hospitals, and the crass stupidity of the politicians and generals who utterly failed to see the folly of the enterprise. In her portrayals of the upper classes in World War I England, and the contrast evident with the ordinary working people who volunteered out of a sense of patriotism and, in the case of many young officers, a desire for adventure, she brings to life a world – that of my grand-parents – often romanticised through such literary flotsam as Downton Abbey but in which the reality was far harsher than we can imagine. That, then, is the task I face in my attempt to craft a novel set in a period of history which has cast a long dark shadow over the British Isles. As I see it at this early stage of development, my central character’s journey must match that of Jody Picoult’s heroine, whilst the context follows a similar path to Rachel Billington’s novel in its attempt to portray both the big picture, including, as it must, the indifference of politicians and officials, alongside the personal suffering. If reading fantasy horrors, watching zombie movies, or, indeed, the horrors of modern warfare shown nightly on our television screens, dulls our senses, then it is surely the duty of the writer of historical fiction to remind readers of the real horrors endured by ordinary people. We have to make the unimaginable real if we have any hope of ending the indifference, born of a lack of empathy, that made those times so much worse than they needed to have been. By franklparker in Irish History 1845-51, Reviews on September 14, 2016 .